Just when you abandoned the idea of buying a German car with a diesel motor, BMW will bring over an oil-burning version of the recently updated 5 Series. When? We don’t know. Which one? That’s a bit clearer. It will not be the awesome quad-turbo M550d xDrive, but rather most likely be called the 540d. 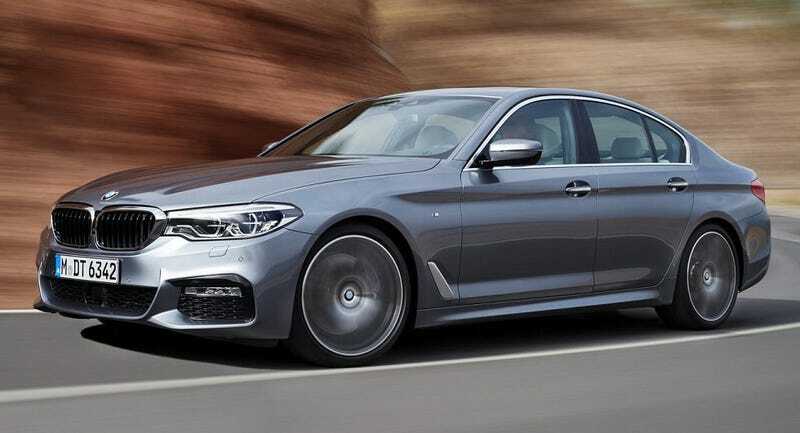 Car and Driver first reported that it got confirmation from a BMW spokesperson that a diesel 5 Series is slated to be sold in America alongside diesel versions of the X3 and X5. C and D thinks the car will likely to be called the 540d and be powered by the same 3.0-liter diesel inline six found in the European 530d. Now C and D points out that the European 5er with the diesel makes 262 horsepower and 457 lb-ft of torque, but argues that the 540d name indicates that we might get a bit more power. However, keep in mind that the Germans like to be silly with the alphanumeric names so a number change on the badge doesn’t automatically mean a horsepower jump. Apparently, the new 5-series is a hot seller and dealers can’t get enough of them, but as inventory starts to build it’s likely we will see the diesel 5-series later on in the year as a 2018 model.